Should Obama's 'internet kill switch' power be curbed? Under a World War II-era law, the US president appears to have authority to disconnect computer systems and servers from the internet in the event of a national emergency. But the next US Congress is poised to change that. The law was passed in 1942. The Japanese attack on Pearl Harbor had provoked fear of a foreign invasion of US soil, and Congress responded by giving President Franklin Roosevelt broad power to commandeer or shutter telephone and telegraph networks. NOTE, by Student: I find in this piece a mild rebuke only, about the new airport virtual strip-search program now in place. Maybe a right-wing writer would say it more forcefully. Note that this issue cuts across all false paradigm boundaries -- right/left, Repub/Demo, and so on. It’s time for Americans, regardless of political affiliation or philosophy, to stand up for themselves and demand that the overly intrusive — likely unconstitutional — enhanced “pat down” searches at airport security checkpoints stop. The stories of outrageous searches of young boys, the humiliation of cancer victims and constant mistreatment of law-abiding American citizens by uncaring TSA employees mindlessly administering policies dictated by Washington DC bureaucrats are piling up. Every day millions of Americans who are exercising their constitutionally guaranteed right to travel are forced to choose between submitting to an x-ray machine which displays their sexual organs and exposes them to radiation of unknown health consequences, or having a stranger search them as if they were a common criminal–a search involving having hands put on their “junk”, put down their pants or up their skirts or under their blouses. Some choice. It's too early to say for sure, but Oregon Senator Ron Wyden could very well go down in the history books as the man who saved the Internet. A bill that critics say would have given the government power to censor the Internet will not pass this year thanks to the Oregon Democrat, who announced his opposition during a recent committee hearing. Individual Senators can place holds on pending legislation, in this case meaning proponents of the bill will be forced to reintroduce the measure and will not be able to proceed until the next Congress convenes. Even then, its passage is not certain. The use of ‘war-games’ is common in planning military moves, and may well explain, for example, why the US military is not currently mired in an Iran campaign. The use of ‘contingency planning’ is likewise common in business and government. With the current spate of interest in the Fox News channel interview by Geraldo of Bob McIlvaine and Tony Szamboti, some in 9-11 truth-seeking circles sense a need for rigorous think-tank planning -- in the now far more-likely case of a general awareness, spreading suddenly and widely, regarding evident US government complicity and subsequent cover-up in the 9-11-01 attacks. 'I have been told by reporters that they will not report their own insights or contrary evaluations of the official 9/11 story, because to question the government story about 9/11 is to question the very foundations of our entire modern belief system regarding our government, our country, and our way of life. To be charged with questioning these foundations is far more serious than being labeled a disgruntled conspiracy nut or anti-government traitor, or even being sidelined or marginalized within an academic, government service, or literary career. 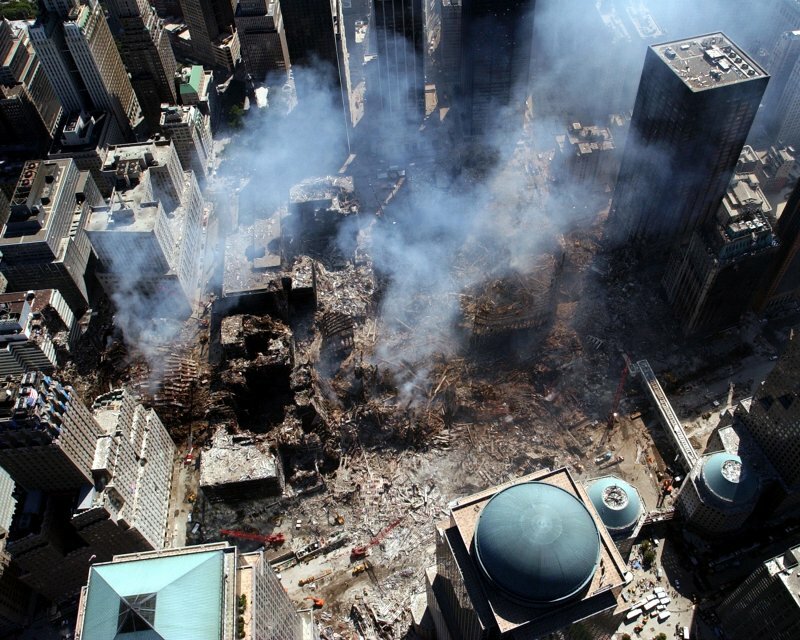 To question the official 9/11 story is simply and fundamentally revolutionary. In this way, of course, questioning the official story is also simply and fundamentally American.'" This quote shows how serious the 9-11 truth-awareness issue may be. Here is one anonymous person’s attempt at game-planning the outcome of such awareness in the general public Granted, a single person’s attempt, such as this, may look slip-shod, or as though a mere exercise in creative writing. While it may provoke interest, one person’s projections can only provide us with a crude game-planning prediction, since it is subject to the limits of that one individual’s expertise in diverse disciplines such as sociology, mass psychology, economics, politics, and related fields. One hopes this one attempt can spur better-constructed versions of the same, involving well-informed think-tank expertise from many relevant areas. Do Information Science and Media Professionals Have a Duty to Provide Evidence-Based Information to a Questioning Public? This essay was originally published by the international journal, Information for Social Change. It has been republished here with permission from the author. Abstract: While it is recognized that through the use of meta-analysis and randomized controlled trials the standard of excellence in evidenced-based medicine (EBM) stands alone on a pinnacle, there is nonetheless an evidence-based methodology that can be applied across the board in other decision-making areas. Though research into the events of 9/11 has not yet attained the rigor achieved by EBM, it is still possible to rank the research in this field according to evidence-based principles. This article explains the principles, points to sources that exemplify them, and argues the ethical obligation of librarians and journalists to advance those sources . Nine-eleven has done more to change the world’s political landscape than any other event since World War II. And 9/11 is far from over: it triggered what Western leaders have declared an “endless” or “generational” war on terror. Even President Obama stated in March 2009 that the Afghan-Pakistan border region “has become the most dangerous place in the world” for the American people. Increasingly, however, the official account of its cause has come under rigorous scientific scrutiny and doubt. In Europe, strong media coverage followed the unchallenged 2009 discovery of high-tech military explosives in the World Trade Center dust. Was there an aluminum cladding problem with the World Trade Center towers? As I mentioned in my earlier post, (see July 18, 2008 post), in 1971 I was a design development draftsman working at Yamasaki's architectural office in Troy, Michigan...forty years ago now. I was honored to be working for such a distinguished firm bursting at the seams with talent and creativity. I am still proud to have been part of that team. It was an exciting time. One of the assignments I had at that time was to detail the study drawings for the aluminum cladding system for one of the other projects* awarded the firm after the WTC. These projects shared many of the fenestration design features used on the WTC. The elaborate aluminum cladding system, (elaborate because it performed a three-dimensional seal between the glazing, spandrels and other finish materials that expanded at different rates based on thermal variables, while still providing weather integrity and effective moisture drainage). It was an elaborate detail, yet functionally effective and beautiful at the same time. In retrospect, I remember questioning the direct connection detail of aluminum to steel, and aluminum to concrete, that was, apparently going to be used on these new projects. This was a detail that flew in the face of everything I knew about the reaction that occurs between disparate metals, like steel and aluminum. That is, an electro-galvanic reaction which will corrode and ultimately compromise the strength of the connection over time as oxidation takes place. I asked several of the senior architects and even brought it to the attention of the department head. My questions were not answered, really, and If I recall correctly, I was told that it would not be a problem because it had been tested in other structures and was a non-issue. Perhaps, ultimately, the aluminum-to-steel connection detail was not used on the project I was working on--I never saw the shop drawings or inspected the actual field connection. Nevertheless, I left the firm a few months after that, (not for that reason but for other personal reasons--I wanted to travel the U.S.). Renowned Jewish-American scholar Noam Chomsky says US invasion of Afghanistan was illegal since to date there is no evidence that al-Qaeda has carried out the 9/11 attacks. "The explicit and declared motive of the [Afghanistan] war was to compel the Taliban to turn over to the United States, the people who they accused of having been involved in World Trade Center and Pentagon terrorist acts. The Taliban…they requested evidence…and the Bush administration refused to provide any," the 81-year-old senior academic made the remarks on Press TV's program a Simple Question. "We later discovered one of the reasons why they did not bring evidence: they did not have any." The political analyst also said that nonexistence of such evidence was confirmed by FBI eight months later. Gold Vigilantes, and WTC 7's "sympathetic collapse"
The whole video is good. Max Keiser brings up building 7 at the end of it. This is third in an interesting series, here. A few years ago, complications from chemotherapy left me visually handicapped. I now depend on the Internet for access to the world outside of Minneapolis, where I live. I just wrote the FCC that without Net Neutrality, phone and cable companies could determine my fate online. I wrote the FCC because it's weighing a decision that could hand over control of the Internet to big companies like AT&T, Comcast and Verizon. Please write the FCC, too. It needs to hear from you — in your own words — why these corporate gatekeepers can't take over our Internet. "My unfettered access to the Internet is my access to the world; I need it for business, communication, shopping and entertainment... Without vital Net Neutrality protections, companies like Verizon and Comcast have a commercial incentive to muzzle my voice online. These companies should not have the power to determine my fate on the Internet." Tell the FCC your own story about Net Neutrality. Go here now to submit it — the comment period ends Thursday. A massive fifteen-story mosque and Islamic Center going up in what was once the shadow of the World Trade Center claims to offer “the opposite statement to what happened on 9/11.” The Center organizers, the America Society for Muslim Advancement (ASMA), have worked hard in the media to portray themselves as Islamic moderates working for peace on the exact spot where their belligerent coreligionists perpetrated murder and mayhem in the name of their religion. But the words and deeds of the leader of the effort, the Imam Feisal Abdul Rauf, suggests a more ominous reality: Abdul Rauf is a master of deceptive, Orwellian use of language, manifesting a deep contempt for non-Muslims and full accord with the supremacist goals of the 9/11 hijackers. In the scientific publishing world, peer reviewers are police officers in charge of catching bad research. Without these watchdogs, pseudoscience can masquerade as real science—and when they fail, as they sometimes do, the public has the most to lose. Shocking: Today I met with a reporter from the Jerusalem Post who told me that he had recently been in a conversation with a high official close to Netanyahu. Off the record he said: "We shouldn't worry too much about Obama being indecisive about Iran--just wait a while, he just hasn't yet had his 9/11." The implication was clear--just as 9/11 had created the prelude for the US attack on Afghanistan and Iraq, so the next 9/11 would provide the prelude to a US war with Iran. But the worst part is this guy's confidence about that was...how does he know that there would be a next 9/11 type attack? He made it clear that the one force pushing the US hard for such a war is Israel. Could it be, God forbid, that someone in the Israeli government thinks that staging another 9/11 attack, and linking it to Iran, would be in Israel's interest? I don't believe it, but this conversation sounded a bit unnerving. I (Student) found this at Truthout. It speaks of 'deep' politics -- even if in a mild way -- more clearly than usual whether in mainstream or more alternative news. The first anniversary of Barack Obama's historic election finds many of his supporters already grousing. Fair enough: Obama has been more vigorous in some areas than others. But one essential question goes unasked: How much can any president accomplish against the wishes of recalcitrant power centers within his own government? With the departure of the Bush Administration and the arrival of an “era of transparency,” opportunities are arising for the disclosure of new information that may shed more light on the events that took place before and after 9/11/2001. Dramatically narrated by Daniel Sunjata of FX’s Rescue Me, and an outspoken advocate for the First Responders, Loose Change 9/11: An American Coup first examines mysterious and infamous events that reshaped world history – from the Reichstag Fire in 1933 that catapulted Hitler to dictatorship - to the Gulf of Tonkin Incident in 1964 that led to the Vietnam War, and then takes viewers on a turbulent journey through several pivotal moments in history before delving into the most significant catastrophe in recent memory, 9/11. From NaturalNews The Bush administration has committed war crimes in Afghanistan, Iraq and Guantanamo Bay in its practice of torturing prisoners, according to the conclusions of a medical examination conducted by the organization Physicians for Human Rights. "After years of disclosures by government investigations, media accounts, and reports from human rights organizations, there is no longer any doubt as to whether the current administration has committed war crimes," wrote retired Maj. Gen. Antonio Taguba in the preface to the report. "The only question that remains to be answered is whether those who ordered the use of torture will be held to account. Taguba was the general who led the investigation of allegations of prisoner abuse at Abu Ghraib prison in Iraq. After releasing a report documenting the torture performed there, Taguba was forced out of the army.